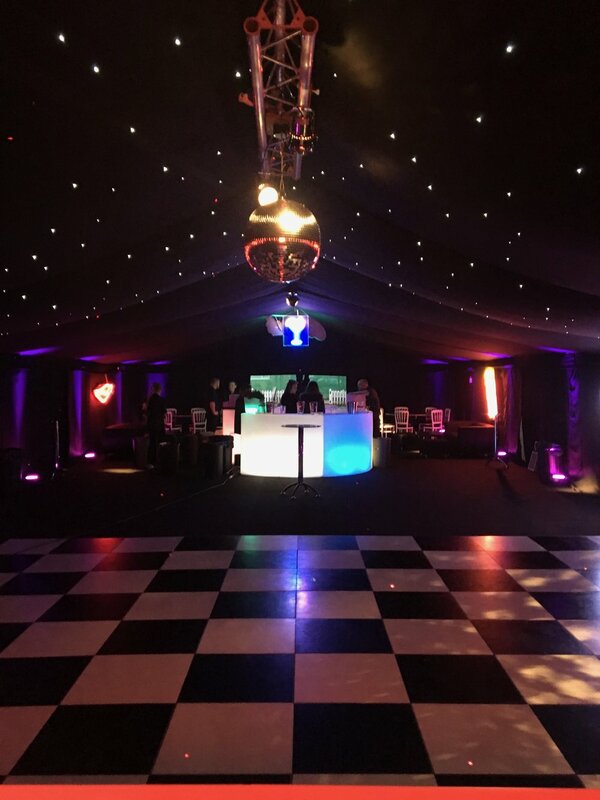 One of the simplest and most effective ways to create the right ambience within your marquee is choosing the correct lighting & effects. 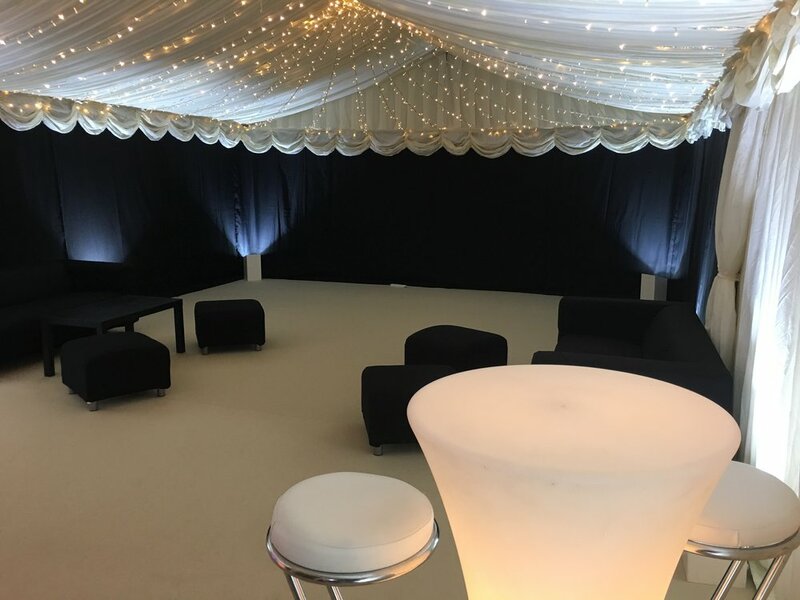 We have traditional or contemporary options as well as different effects with different colours, moving heads and sound reactive lighting as well as connectable string fairy lighting which can be used indoors or outside! Our eight arm chandeliers are from an exquisite range with an attractive vintage cream finish. It’s elegant curved arms will add class and elegance to any location. The cream chandelier will look great with cream, ivory or white linings in your marquee supplied with a dimmer switch. Ideal choice for weddings. Fixed on your choice of colour or changing to the beat of the music, LED uplighters will bring colour to any event. Versatility is the key to this fixture, a double yoke bracket that also means it can sit directly on the ground or inside truss hanging from the ceiling. Great for parties. For that extra special touch to any event, we can supply a dance lighting package which consists of moving lasers and acrobat lights which react to sound all hung from an aluminium truss creating a lighting effect suitable for a club feel in your marquee, working especially well above a dance floor or alongside our star cloth. We can also provide mirror balls for a classic ballroom effect lighting. A slowly rotating ball covered with tiny mirrors, each of which reflects beams of light from spot lights which are also provided. Works great on it’s own, in multiple numbers or as part of the dance lighting package. Say hello to warm white hues with our very popular fairy lights. These connectable lights are a go-to choice for any large-scale occasion with brilliant quality & flexibility for your home & garden. They're for both indoor and outdoor use & everything runs from the same plug! Work great with panoramic roofs!